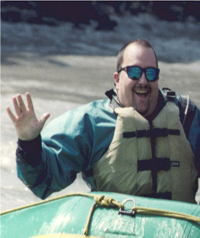 I am a Descendent of the Pend D’ Oreille, Salish, Kootenai, Lakota, and Chippewa Cree peoples who joined the faculty of Salish Kootenai College in 2009 and I am the lead instructor in Hydrology at SKC. As SKC’s American Indian Science and Engineering Society (AISES) Chapter Advisor I am often mentoring student community support activities and oversee student interns in a variety of research projects involving sustainable land and water resources. My research has taken me to the Cochiti Pueblo lands in New Mexico, Kanaka Maoli lands in Hawaii, and the Salish, Kootenai, and Pend D’ Oreille aboriginal watersheds in Montana. My dissertation research (2006 to 2012) provided me the opportunity to be the lead groundwater researchers for the EPA on the Milltown Dam Removal CERCLA or Superfund Project. My specific research interests focus on fluid dynamics, computer modeling, groundwater surface water interactions, protecting groundwater supplies, river/floodplain restoration, and shallow subsurface geophysics. Currently, I serve as co-chair of the Geoscience Alliance, an organization dedicated to expanding Native American Participation in the Geosciences. I have served as an Education and Outreach Committee Member for CUAHSI (Consortium of Universities for the Advancement of Hydrological Sciences Inc.) since 2010, and am a GLOBE trainer at SKC (Global Learning and Observation to Benefit the Environment). I have been married for over 20 years and have 2 children. I am an avid hunter and have spent my life trying to learn to fly fish like my grandfather. I grew up on or near several Environmental Superfund Sites throughout the west which have instilled in me a passion for ecosystem protection and collaboration. This prompted me to return to academia following a decade of management positions so I could make a difference in Native communities.